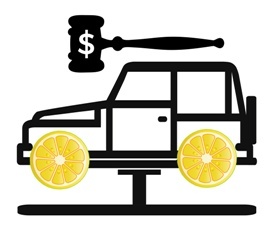 Forced Arbitration for Lemon Law Claims | The Consumer Law Group, P.C. Do I have to participate in manufacturer-sponsored arbitration for my Virginia Lemon Law claim? When you sign any kind of contract these days, you may be unknowingly agreeing to forced arbitration should there be a dispute down the road. This means that if the financial institution, insurance company, or automaker breaks the contract, you will be required to settle the dispute by participating in arbitration with the company rather than suing them in court. Most car manufacturers have buyers sign such an agreement, but under Virginia law, you are not required to participate. Also known as the Motor Vehicle Warranty Enforcement Act, Virginia’s Lemon Law does not require the use of a moderator or an arbitration proceeding before filing a lawsuit and, in instances when a sales contract does stipulate an informal dispute settlement procedure, the law gives Virginia residents the choice to participate or not. Should You Go to Arbitration? Using an informal dispute resolution procedure may be an easy way to resolve a problem with an auto manufacturer. The Better Business Bureau (BBB)’s AutoLine program is a neutral, third-party program that may be able to quickly settle your complaint against an automaker. The program acts as a mediator between you and the manufacturer as long as this manufacturer is a participant in it's AutoLine program. (Before you arbitrate a case make sure your manufacturer is a participant by checking with the BBB.) Once you have registered your complaint with them, they will contact the manufacturer. You may then be contacted by a representative of the manufacturer to discuss a settlement or you may request a BBB representative to speak for you. If your dispute is not settled at this point, you may want to contact a Lemon Law attorney to proceed further. If at any point you are unhappy with the way things are going with the BBB, you may stop the process. Remember, you must file suit under the Lemon Law within 18 months of delivery of your new car, if you arbitrate with the BBB this deadline is extended by one year from the date of the decision. Using AutoLine may be worth a try, however, using an arbitrator provided by the automaker is likely not in your best interest. Their focus will be on getting you to agree to a compromise rather than the full refund you may be entitled to. It is important that you are aware of your rights in Virginia. You are under no obligation to participate in arbitration with the automaker if you believe your car meets the requirements of the Lemon Law. To save time and money, contact The Consumer Law Group, P.C. early in the process. We will guide you in the right direction for the best possible outcome.